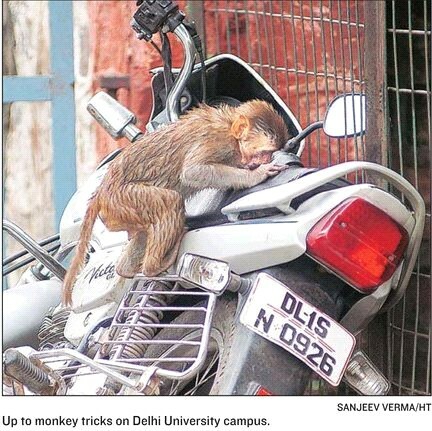 The monkeys in Delhi have been a nuisance for many. But never before did this lead to an incident as shocking as leading to a loss of human life. 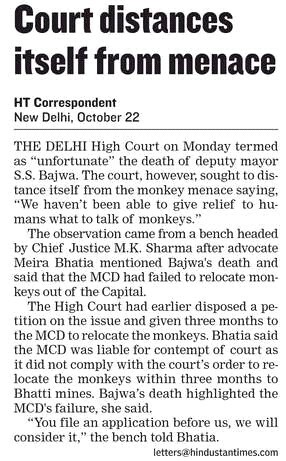 Delhi’s Deputy Mayor, Late S.S. Bajwa, who died after falling from the terrace while trying to stave off an attack by the monkeys became the unfortunate victim. 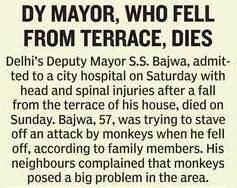 Monkeys had been a problem in the area for long but none could have imagined that an incident of this magnitude could occur. 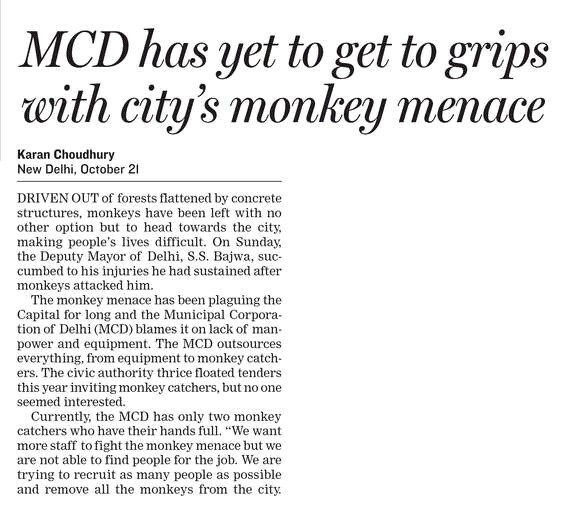 Despite citizens continuously complaining about monkeys making trouble in different parts of the city, the Municipal authorities have not been able to do enough. 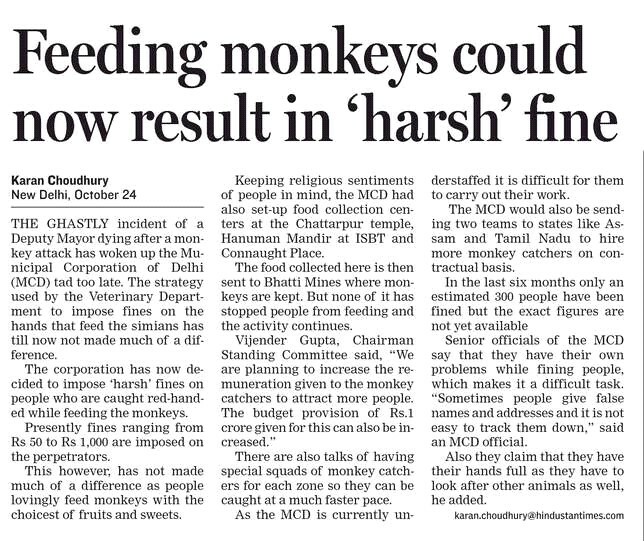 Trouble is, such incomplete attempts (where a few monkeys are captured in cages and located further south of Delhi) only makes the remaining monkey population irritated and more aggressive. If adequate measures are not taken quickly, the situation may well go out of hand. 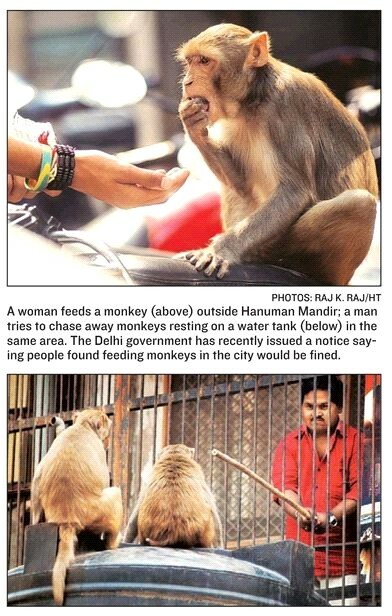 PrevA tale of two (NCR) cities!